“I’ve had the pleasure of working with Lindsay and can’t say enough good things. I’ve always preferred deep tissue work to a swedish style of massage. Lindsay uses the perfect balance to address my trouble areas from a lifetime of athletics. Each treatment she takes the time to target a specific goal for that session. My overall posture, flexibility and stress levels have dramatically improved with Lindsay’s technique. I am more than happy and will continue to recommend her to my friends, family and colleagues.” –Brandon Cullen – Founder of MADabolic Inc.
“If you need a massage treatment, go treat yourself with Lindsay at Dilworth Bodyworks. I was referred to Lindsay in 2015 and started regularly seeing her for biodynamic cranial sacral massage and regular massage, as I healed from a car accident. Since recovery, I’ve still enjoyed visiting her for various reasons: stress relief, muscle memory trouble, or back muscles needing some reassurance. Lindsay is solid and seriously the best to see in Raleigh or in North Carolina, for that matter, since she has worked all over. She has a way of reading muscles and targeting just the right spots, is a really good listener, and can also send you home with tips from her expertise as a fitness trainer. Not only is she giving you sharp treatment and advice, but she genuinely cares and her scheduling is flexible and accessible with online scheduling options. I’ve also given sessions with her as gift cards and those I’ve referred have really enjoyed the treat. Highly recommend Lindsay Riggsbee and Dilworth Bodyworks.”– Lindsay S.
“As I have gotten older, constant muscle strain/stiffness has made working out regularly much more difficult. Seeing Lindsay for therapeutic massage has made a huge difference. She keeps me going so that I can continue to exercise and lead a healthier lifestyle. Thank you Lindsay!”– Web W.
“Lindsay is an amazing therapist that takes the time to not only talk to you, but LISTEN to you. I had a shoulder injury that I had been battling for some time, and Lindsay was able to give me some great advice as well as great treatment to get me back into peak condition. Hands down, the best massage therapist in Raleigh.”– Tonya M.
“As a full time yoga instructor, when I suffered a neck/shoulder injury I searched ALL OVER Raleigh for a way to find relief. Lindsay has been such a miracle worker for me. 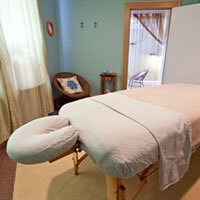 She has such an in depth knowledge of the body and how it works she is always able to provide relief. Her technique is by far the best I have come by. Now I am totally pain free and back to being on the yoga mat all the time! Scheduling with Lindsay is something I look forward to every month!”– Jackie S.
“I am so happy I was referred to Lindsay by my chiropractor who is always singing her praises. To be honest since I reside in Wake Forest I wasn’t crazy to make the hike into downtown. But after visiting countless other massage therapists in my area and not receiving the needed relief I was looking for I took the plunge to give her a visit. My issue wasn’t a quick fix but once I explained it to her, from my first visit I knew I had found the perfect therapist for the job. Within three to four visits I remember being pain-free and what a relief that was! Alleluia. I appreciate her attention to detail and I love her continued hunger for further learning, increasing knowledge and improving on her trade. I’m one of her staunchest supporters and want to thank her for her continued help and magical hands.”– Noel L.
“Lindsay has a wonderfully unique style that combines knowledge of sports massage techniques with relaxation therapies. It’s like having the best of both worlds. Truly a winning combination!”– Heather B.